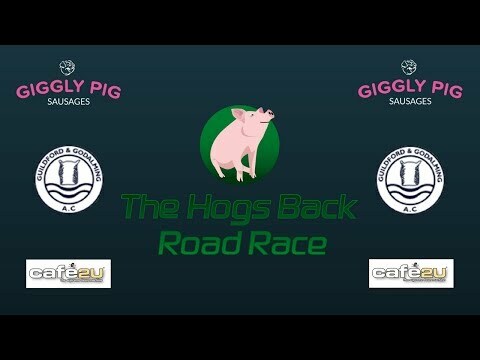 We have no confirmed plans to deliver The Hogs Back Road Race in 2019. 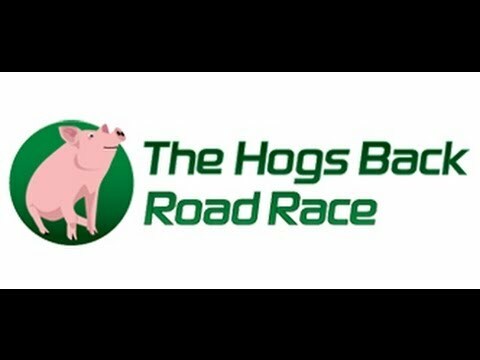 The Hogs Back Road Race is an 11.4 km Guildford & Godalming Athletics Club road run around the Loseley Estate. Part of Guildford's fine running heritage the event has been held for 59 years. The race leads runners out of the estate along quiet roads, up The Mount (and along a short section of gravel track) for you to enjoy the views, before coming back into the Loseley estate. Take a look at your run trace and you'll have run the shape of a Hog. Check the runner list on the table - remember the number against your name and inform our friendly registration team of that number. They'll sort everything from there! Bag storage is available for one small bag per runner. Road trainers and your club vest if you have one - show us your colours!!! The route starts and finishes at Loseley House and follow roads into Guildford, over The Mount (avoiding the A31), down past Watts Gallery and into the rear entrance of the Loseley Estate, behind Withies Pub. The surface is 90% road and 10% gravel track. Medical staff will be ready to respond as/when necessary. Chip timing. The time starts on the gun, not when you cross the start line. Portable loos will be available for athletes and spectators. Water station at the half way point and the finish line. Wilkins Kennedy staff will be hosted a snack station at the top of the Mount to reward runners for all that climbing! Free parking for runners and spectators - Off New Pond Road.